This will teach this human to strap shark fins on her dog's back. 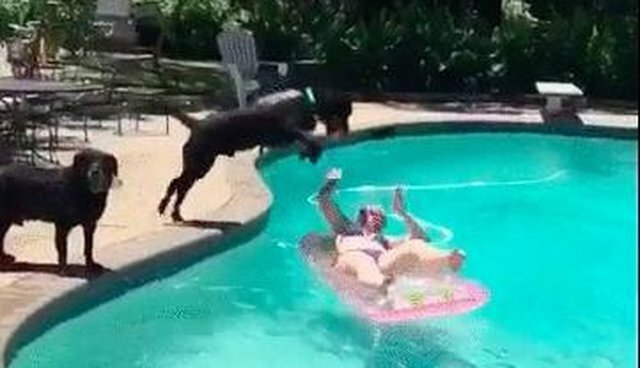 When their mama decided to lounge around in the pool on a raft, a couple of pups thought they'd go in for a closer look. One of them, as you can see, has a shark fin strapped to his back. Either this little guy was super curious and wanted to say hi, or he was aiming for a little revenge. Maybe he just wanted to play. He didn't even try to jump over her. Whichever it is, the results are pretty hilarious.